DJ Lucas is a lifelong musician from Western Massachusetts who has spent the last half-decade building his Dark World Records DIY empire and releasing some of the most unique and enigmatic rap music in America. An advocate for small town music scenes wherever they are, DJ Lucas makes one-of-a-kind paranoid bangers and complex, emotive ballads that will simultaneously make you fall in love with both his hometown and your own. We couldn’t be happier to bring Lucas to Lawrence, Kansas. (If I haven't convinced you, watch the Fader's Dark World video feature and spend some time on the Dark World YouTube channel). 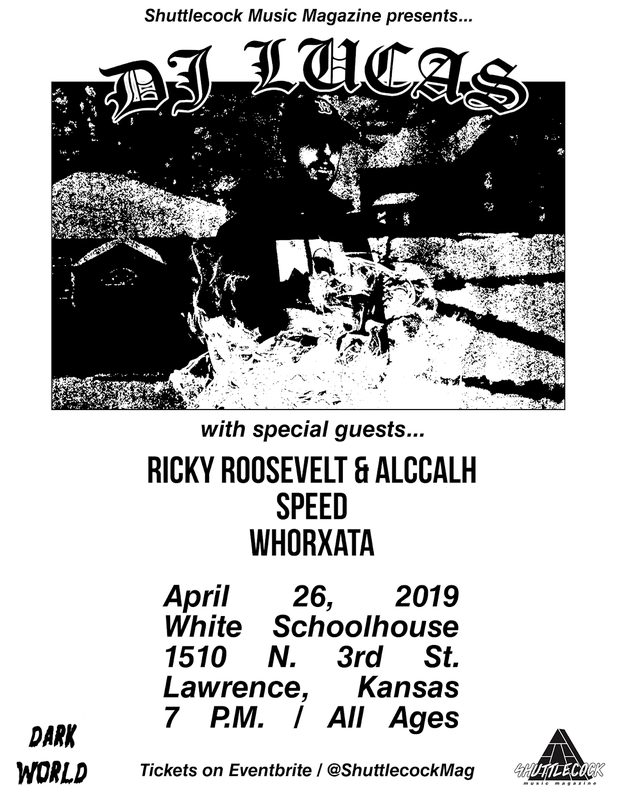 Ricky Roosevelt & Alccalh, Speed, and Whorxata will be opening. The show is April 26, 2019 at White Schoolhouse (1510 N. 3rd St., Lawrence, Kansas). It's all ages. Doors open at 7 P.M. and music starts at 8. P.M. Admission will be $12 at the door, but is $10 online in advance here. Hit "going" on the Facebook event and invite every music nerd, hip-hop head, punk, and farm boy/girl/person you know.